Sarah Entine Announced as Closing Keynote! Sarah Entine is an award-winning documentary film director and producer. Originally diagnosed with dyslexia in 1978, she only fully comprehended her disability 23 years later, at age 29. 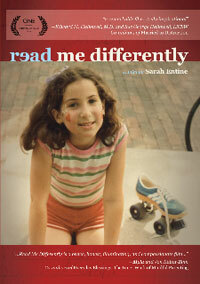 Her film, Read Me Differently, focuses on her experience growing up with misunderstood learning disabilities that spanned three generations in her family. Watch the trailer to learn more about the movie and don’t forget to register for Conference to see Sarah! This entry was posted in Florida Literacy Conference and tagged 2012 florida literacy conference, dyslexia, Florida Literacy Conference, keynote speaker, movie, read me differently, sarah entine by Florida Literacy Coalition. Bookmark the permalink. can’t wait to hear more of her story! !